It is not often we try new pasta's because they can be such a hit and miss. 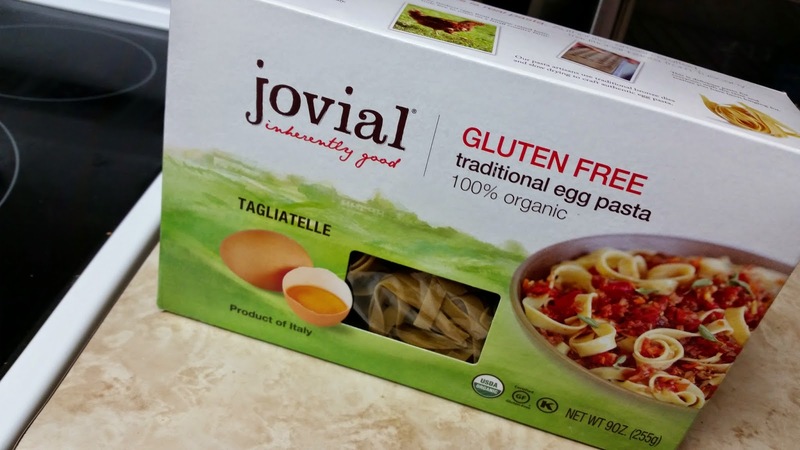 But this gluten free egg pasta by jovial, imported from Italy really caught our attention. We found this at Winners (so you never know if you'll actually see it again). You will never guess what happened when we made this pasta for the first time. It was perfectly delicious! The pasta was so smooth, I don't think i've had a pasta so smooth and silky. The pasta also held the next day without breaking up or getting mushy. 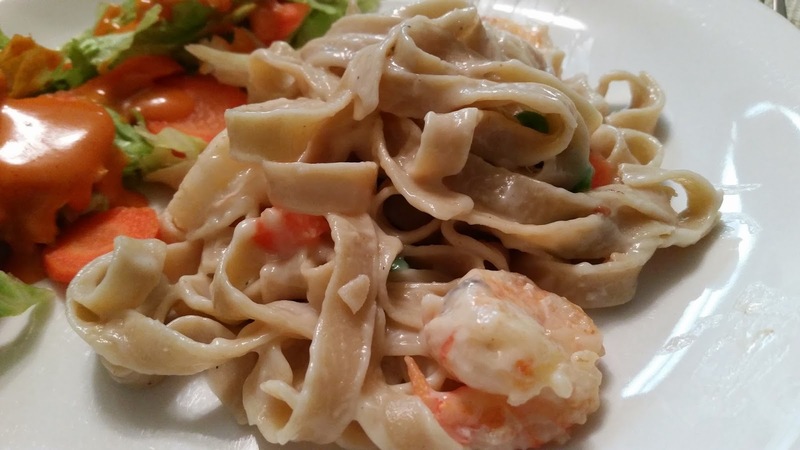 Below we made an shrimp alfredo pasta with the juvial gluten free pasta. We used a gluten free pasta sauce, added some shrimp and peas and carrots. Lassonde, makes a line of gluten free sauces. 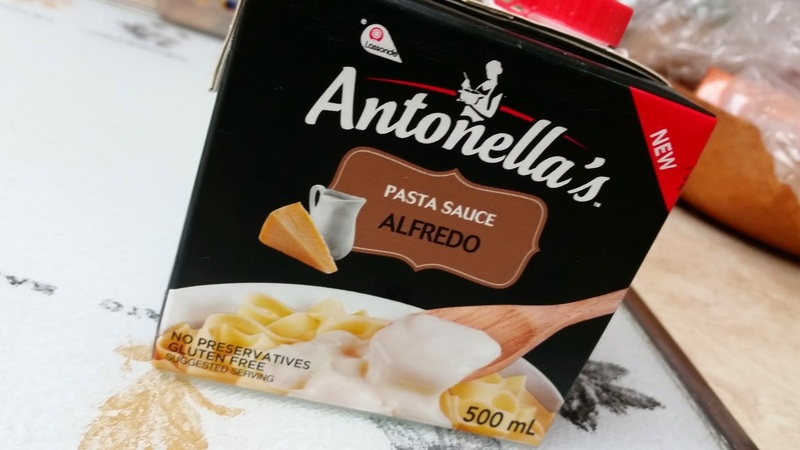 This is a pasta alfredo sauce that we used for the pasta above.